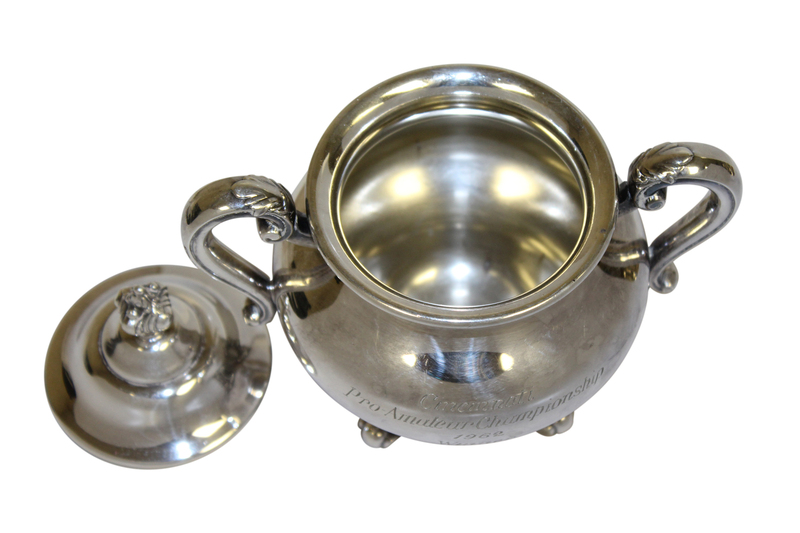 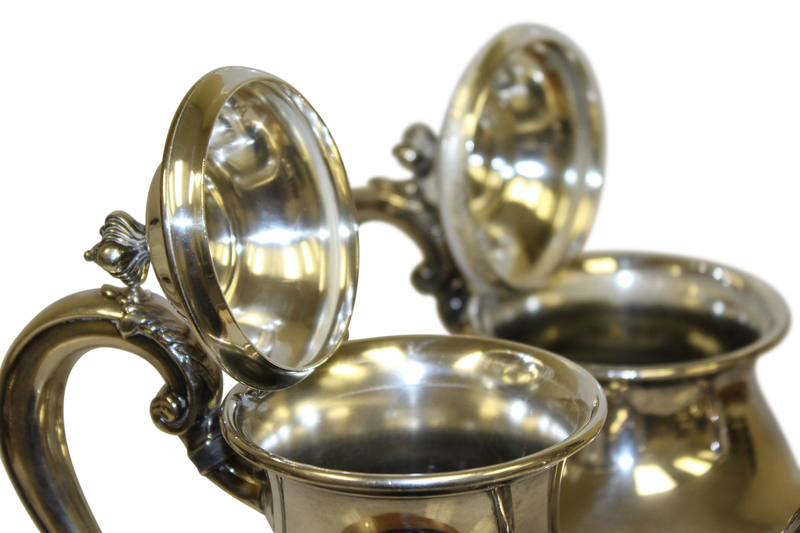 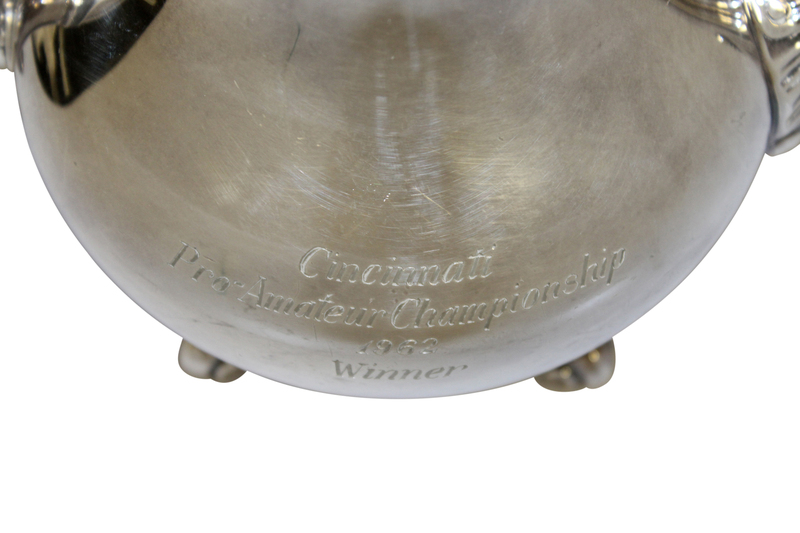 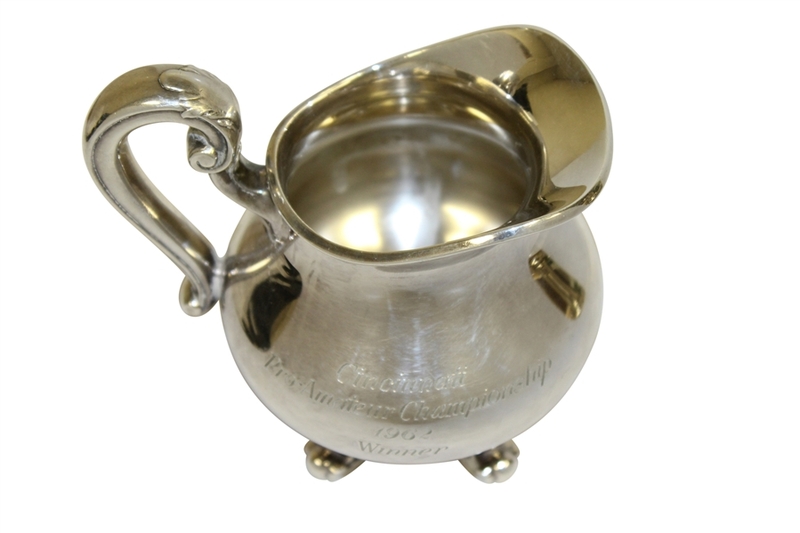 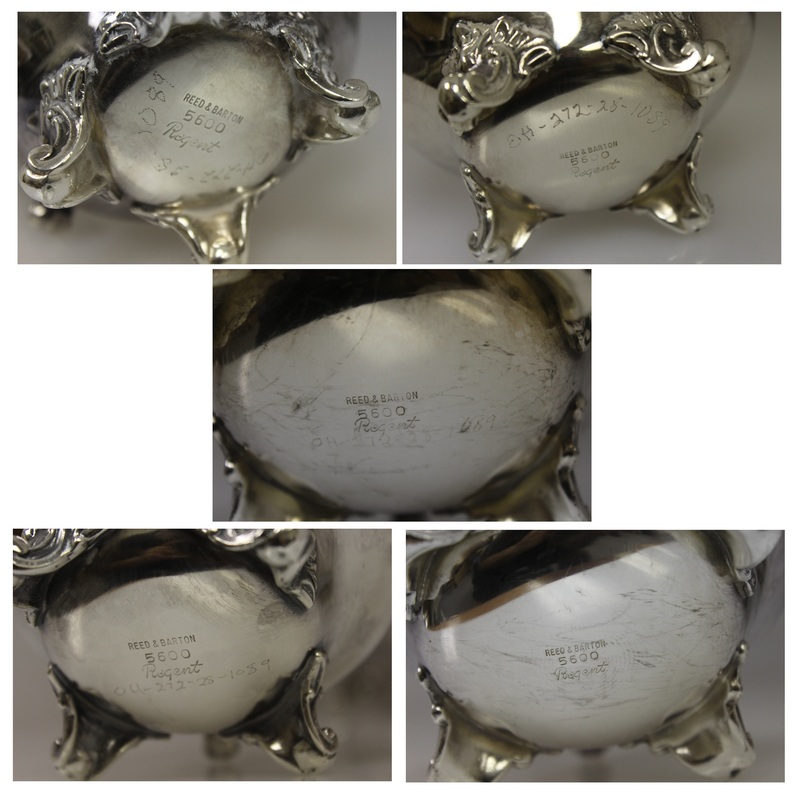 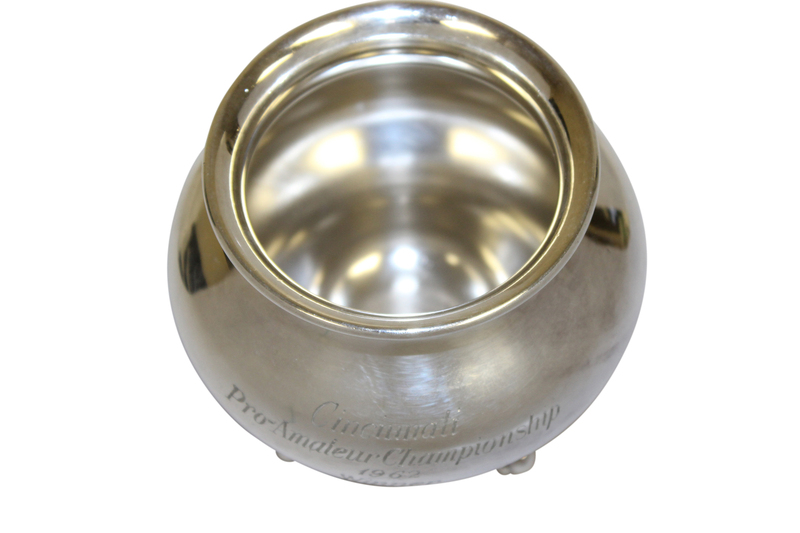 Here we have the champions silver plated trophy set from the 1962 Cincinnati Pro-Am. 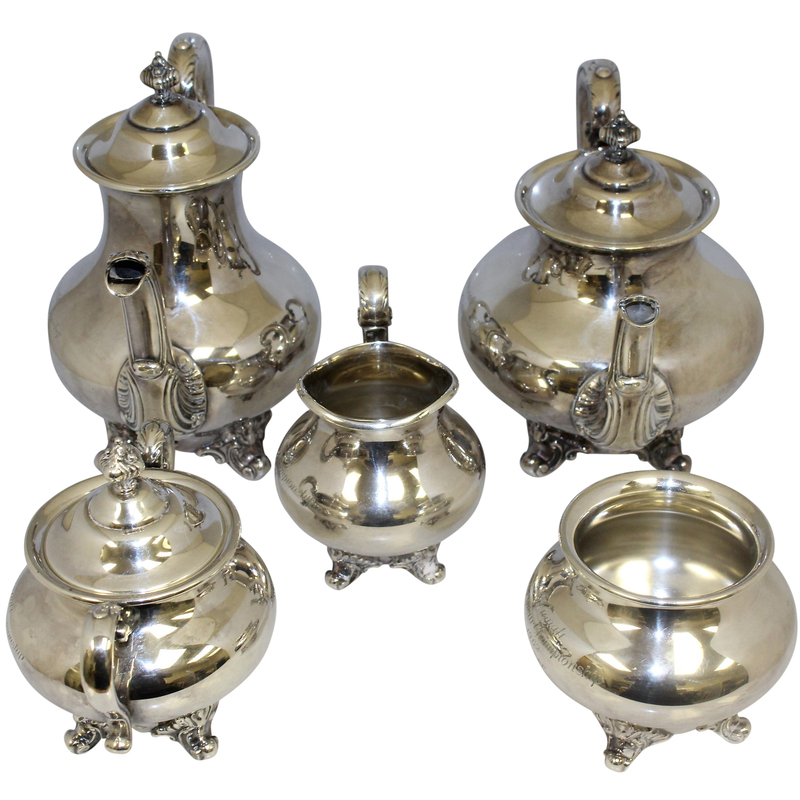 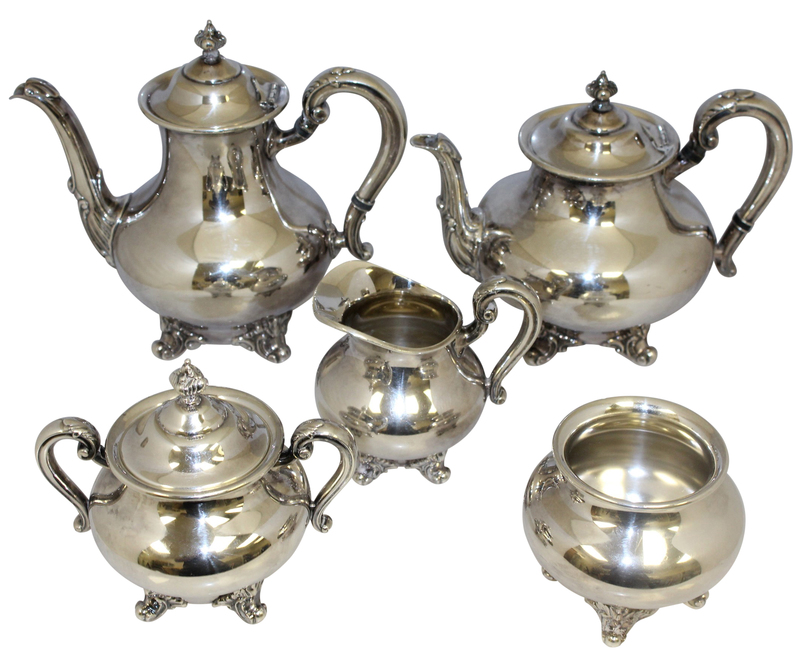 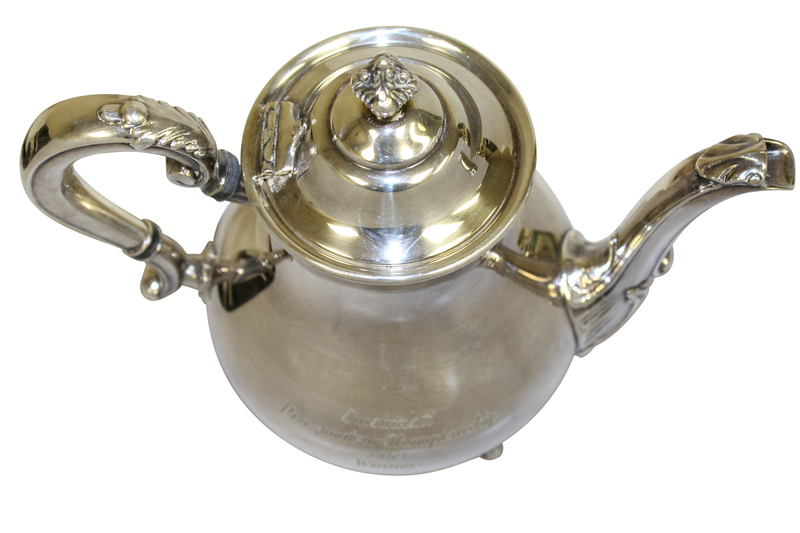 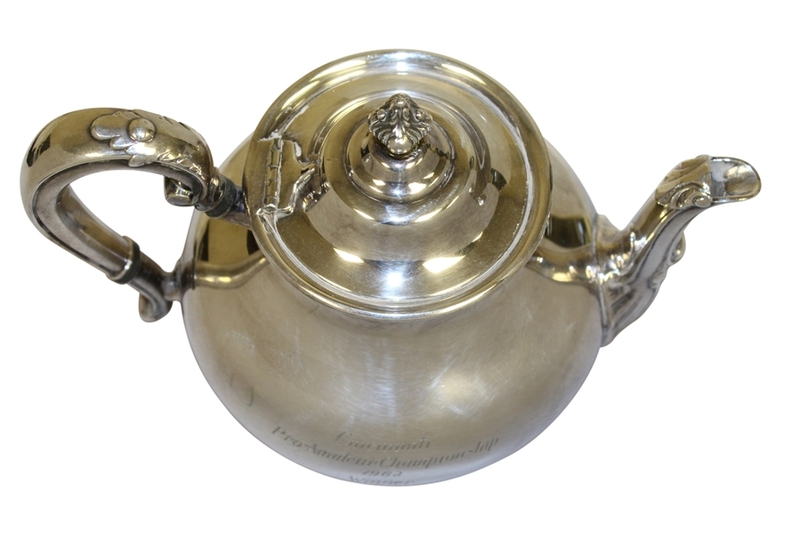 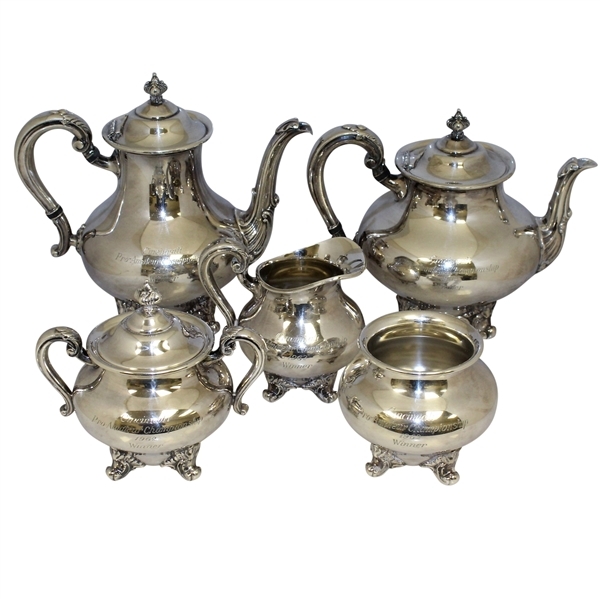 Two tea pots, a creamer pot, a sugar holder with two handles and a lid, and one other pot are included in the set. Jack Nicklaus and his pal Pandel Savic, former Ohio State quarterback, claimed the victory by four strokes for Nicklaus to add $2,000 to his yearly winnings total and their 3rd Cincinnati Pro-Am title in a row. 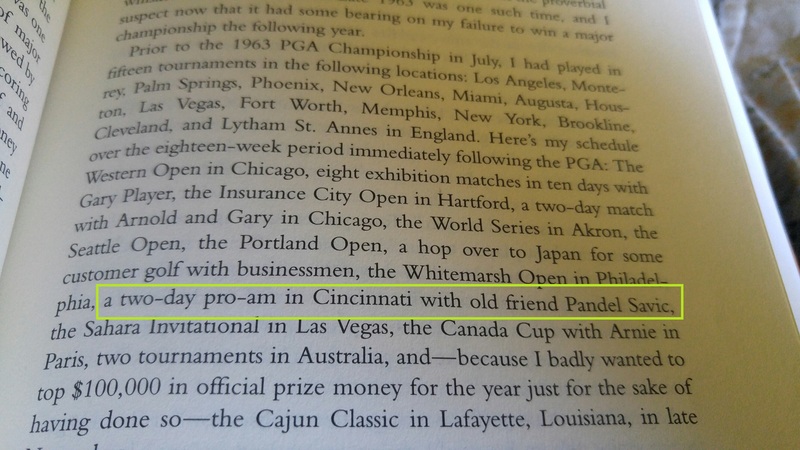 Included in the images is a passage from Jack's book "My Story" detailing his 1963 season before and after the PGA Championship.